Terence Pettigrew has been a professional writer and broadcaster for more than half a century. In addition to his published books, he has scripted and presented numerous documentaries on BBC radio. In recent years, he has become a prolific writer of poetry. Print Resources has designed and printed four of his collections, which are available in paperback and as e-books.These are Brotherly Sisters (2011), Love and Other Weaponry (2012), Gaius and the Lady (2013), and Darling Josie (2014). Terence Pettigrew uses poetry to tell the story of the Brontës. 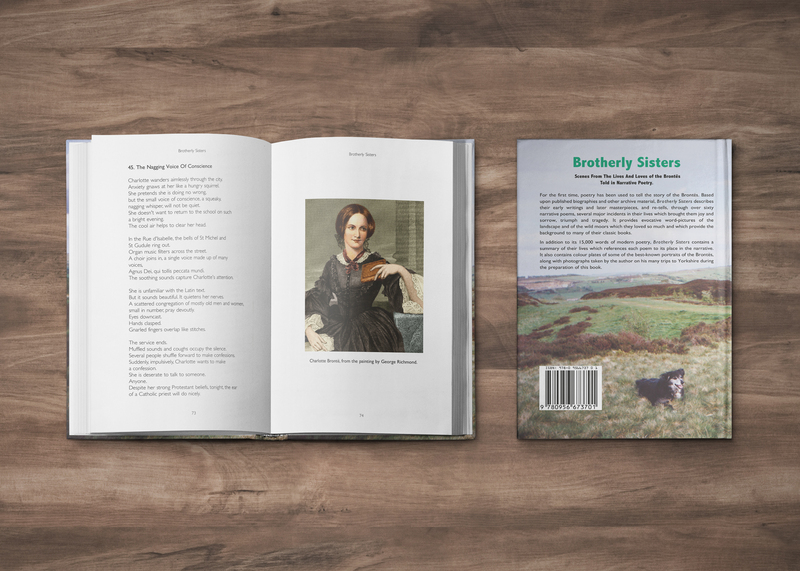 Based upon published biographies and other archive material, Brotherly Sisters describes their early writings and later masterpieces, and re-tells, through over sixty narrative poems, several major incidents in their lives which brought them joy and sorrow, triumph and tragedy. 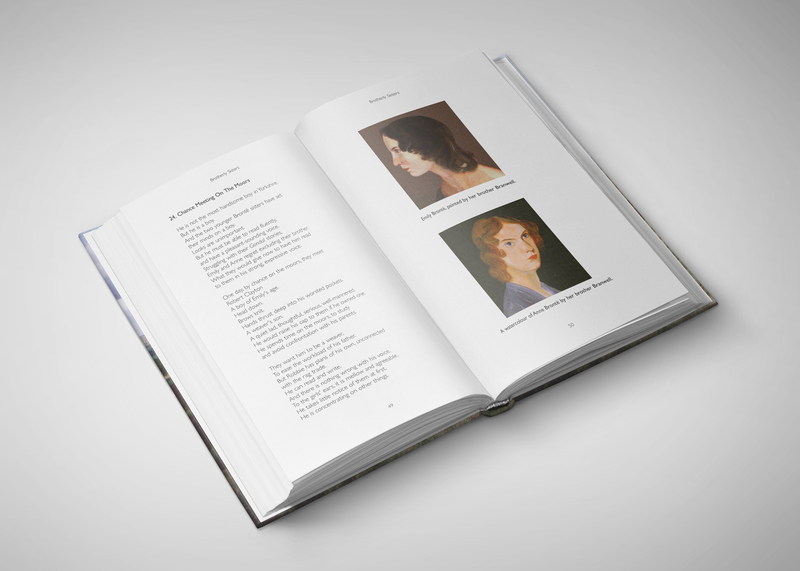 It provides evocative word-pictures of the landscape and of the wild moors which they loved so much and which provide the background to many of their classic books. Among his non-poetry books Print Resources has developed as e-books two acclaimed biographies, namely, Bogart, a detailed study of the American movie actor, and Trevor Howard. 98 pages in extent. Printed on 100gsm white offset paper including 10 pages printed in colour. 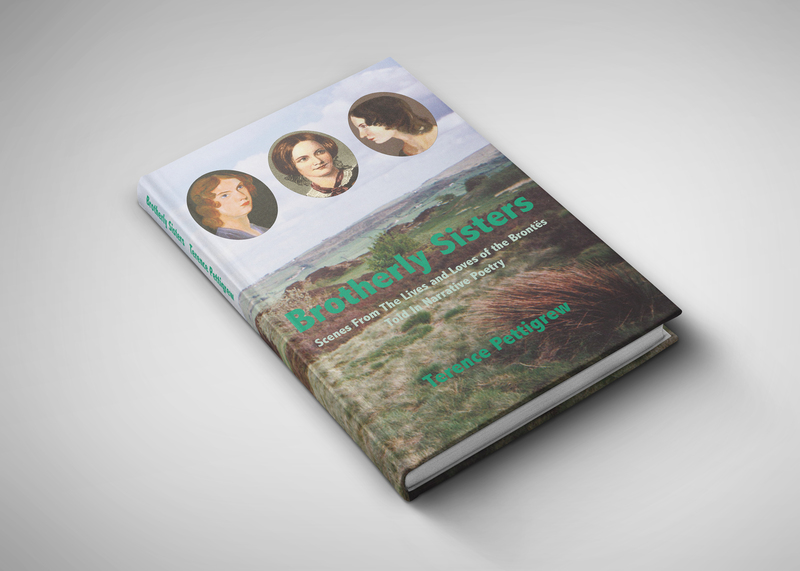 Richard Painter recently helped me to publish my book Brotherly Sisters. I was impressed by his knowledge and professionalism, and his helpfulness at all times. His design skills are evident throughout the book, both in the cover design and the selection of typeface which suits perfectly the subject matter. On the matter of cost, I am satisfied that I was given value for money, and would be pleased to work with Richard again, should the opportunity arise.